Irritable Bowel Syndrome has no cure and it is sometimes treated with medication. But there are natural remedies out there that can alleviate some symptoms, peppermint is one of them. An Australian university recently published a study on the anti-pain effects of peppermint. The anti-pain effect not only reduced discomfort and pain, but also markedly helped reduce the overall inflammation of IBS. "Our research shows that peppermint acts through a specific anti-pain channel called TRPM8 to reduce pain sensing fibres, particularly those activated by mustard and chilli. This is potentially the first step in determining a new type of mainstream clinical treatment for Irritable Bowel Syndrome (IBS)"
Measures of cognitive performance, wakefulness, mood, and workload were also assessed. Both cinnamon and peppermint administration led to increased ratings of alertness, decreased temporal demand, and decreased frustration over the course of the driving scenario. 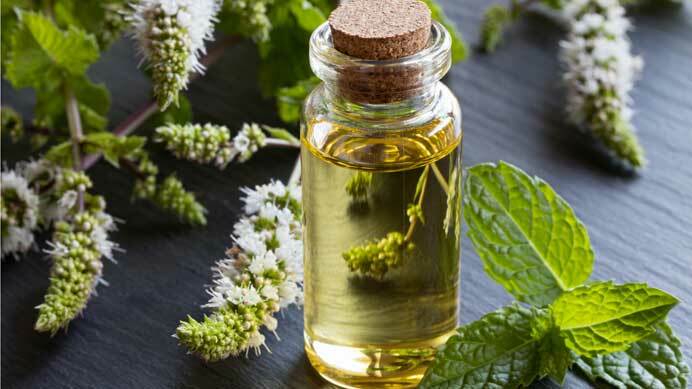 In addition, peppermint scent reduced anxiety and fatigue. Periodic administration of these odors over prolonged driving may prove beneficial in maintaining alertness and decreasing highway accidents and fatalities. There are many ways one can consume peppermint. You can add it in salads, use it in your tea or even use it in the form of an essential oil. It can also be used in cream or oil format and applied to the skin. Not only can it help with better skin, better oral health, but it can also help alleviate IBS symptoms as mentioned in this article. Remember that everything must be taken in moderation. Excess of anything can lead to bad results and people tend to make this mistake with natural products thinking that more is always better.